What Can Nonprofits Learn from ESOPs? “ESOP Key.” Photo by CreditDebitPro. The United States is in the midst of one of the largest intergenerational transitions in its history, as 10,000 baby boomers retire every day. While this “silver tsunami” has been written about extensively in terms of the healthcare industry, its economic impacts on the workforce, and the consequent need for affordable senior housing, the transition’s implications on business owners approaching retirement deserves more exposure. Many states are exploring ways to address this rapid demographic shift, and in Pennsylvania in particular, there is an increasing discussion on the role of employee stock ownership plans (also known as ESOPs) as a tangible economic development strategy that retains businesses in the state by thoughtfully addressing the realities of an aging business marketplace. Paved by the adoption of the Mainstreet Employee Ownership Act last August, which NPQ reported on previously, Pennsylvania and other states that are facing climbing senior populations are looking at ESOPs, and the effort is being led by nonprofits like the Pennsylvania Center for Employee Ownership (PaCEO), which promotes better understanding of the value of employee ownership among business leaders, public officials, employees, and others throughout Pennsylvania. Nonprofits can learn from PaCEO’s awareness building approach, as they have an opportunity to learn more about the implications of the Mainstreet Employee Ownership Act, the related SBA loan guarantees that help facilitate ESOPs, and ways to integrate ESOPs into existing economic development efforts. This is especially true for nonprofits dedicated to equity, as ESOPs have a demonstrated effect of increasing wealth. Demographically, the transition in Pennsylvania is dramatic, with nearly one third of the state’s population being over 55, ranking sixth nationally. The impact of this aging population is felt in all corners of the state, as more community development and planning entities explore the repercussions of the unprecedented retirement wave across sectors. This even impacts that nonprofit sector in Pennsylvania, as a recent report, “What Now? How Will The Impending Retirement of Nonprofit Leaders Change the Sector?” from the Robert Morris University Bayer Center for Nonprofit Management, explores. While the demographic transition touches every sector, it is within this context of a rapidly aging population that ESOPs are being explored and advocated for throughout the state. What’s unique about ESOPs is their structure and the process that they use to transfer ownership. As NPQ reported last year, an ESOP is a corporate structure where a trust is set up for employees to buy company stock through a loan paid off by the company. Through the new expanded SBA opportunities, businesses can utilize SBA 7(a) loans of up to $2 million, of which a maximum of $1.5 million is guaranteed, to facilitate the development of ESOPs. The amended lending process allows loans to be made to the sponsor of the ESOP, rather than requiring the loan to be made directly to the ESOP. This change specifically has the potential to catalyze ESOP development as it eliminates capital restrictions on SBA 7(a) loans, which now allow for transaction costs to be paid through SBA loans. While the silver tsunami is fast approaching, Pennsylvania’s ESOPs illustrate how employee-centric values can actually improve performance. 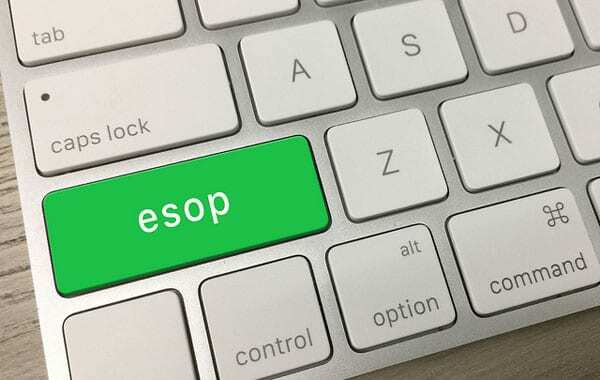 According to PaCEO, there are several specific benefits that ESOPs have, which is demonstrated by several indicators including a 25 percent higher job growth rate over a 10-year period, a five percent increase in productivity the year that the ESOP is adopted, 12 percent more in wages, decreased instances of layoffs, and retirement accounts that are 2.5 times greater than comparable companies, just to name a few. Awareness of ESOPs in Pennsylvania has been aided by nonprofits such as PaCEO, which focuses on telling stories, marketing the benefits of ESOPs, connecting people with succession experts, and showing ESOPs throughout the state on an interactive map. By increasing awareness about ESOPs as a viable succession option, PaCEO synthesizes the values of employee ownership with the realities of a changing demographic. Luckily for Pennsylvania, the successes of ESOPs in the state range from small businesses to major global players. Take, for instance, HB McClure, a heating, ventilation, and air-conditioning company based in Harrisburg, which converted to an ESOP valued at $4.6 million in 2010. Since then, financial returns have been robust, with HB McClure acquiring 15 regional competitors and growing revenue from $25 million in 2010 to $160 million in 2018. Similarly, Dansko, a global footwear company based in West Grove, fully converted to an ESOP in 2012, resulting in increased sales and employee engagement. HB McClure and Dansko are not alone in reaping the benefits of becoming an ESOP in Pennsylvania. According to PaCEO, there are over 300 ESOPs in Pennsylvania that span the range of business types from restaurants and breweries to defense contractors. These days, a business that is traded on the stock exchange is more likely than not incorporated in Delaware. Now, Colorado wants to become the go-to place for employee-owned businesses. As a first step, the state is launching an Employee Ownership Center as part of its main economic development agency.